Built in 2012 by Sanlorenzo, CASA is a beautiful example of the Italian yard’s popular SL94 model, which is characterised by its timeless design and sleek lines. 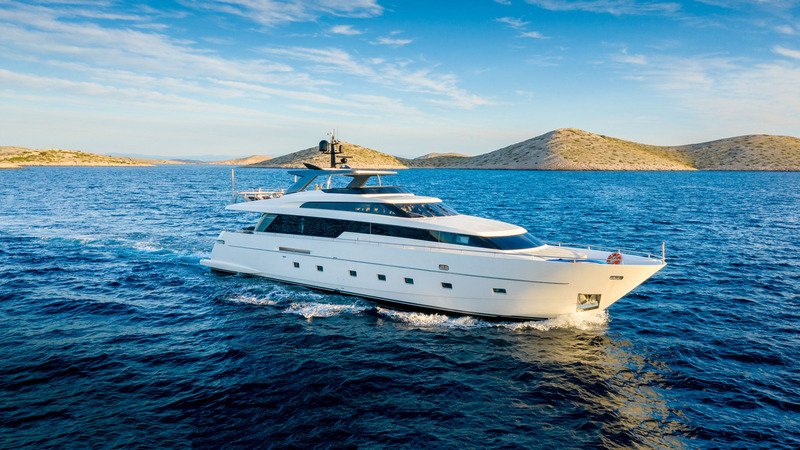 A spacious yacht, with generous spaces indoors and outdoors that are perfect for entertaining, she is the perfect base for a charter around the Mediterranean. CASA, meaning ‘home’ in Spanish, is truly a luxury home away from home. A great choice for smaller groups or a family, CASA is able to welcome eight guests in four modern cabins. A large master suite, amidships, is complemented by a forward VIP suite and two twins. All are well-appointed and beautifully styled, with underfloor heating, entertainment systems and ensuites. Guest accommodation is accessed from the main deck via a leather and wood staircase. The yacht’s interior design is by renowned designer Francesco Paszkowski, who has created an elegant and subtle interior for guests to relax in. The spacious main saloon, which boasts large windows that flood the space with natural light, is the heart of the yacht. The saloon features an L-shaped sofa and armchairs and a large flat screen TV and entertainment system. A distinct dining space – with a formal dining table for eight – is separated from the rest of the saloon, and in close proximity to the modern galley for easy service. Outdoor spaces include the aft deck, which is home to a HI-LOW dining table for eight guests – a popular spot for starting the day with a fresh meal prepared from the best of local ingredients. A staircase leads up to the flybridge, with additional access to the flybridge via the wheelhouse. The spacious flybridge is a popular hub for guests and for entertaining. Boasting furniture by designer Paola Lenti, other amenities include a large wet bar, full dining table, an L-shaped sofa to starboard and chaise lounges. Ideal for sun-soaking and relaxing, optional shades are on offer if shade is desired.